I'm about to begin cross country. 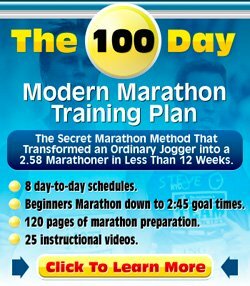 I want to know if this is a good program for cross country, so I can follow it. It's a 2 week plan. I am only going to bump up the mileage for the long run and for the rest only the intensity in which I run them at. I also want to do all this in the morning and practice with my team on the afternoon, but I won't go that fast with them, sort of like a recovery. My team is unorganized (they mostly all jog and play around) so I've decided to do this program by myself. It looks like you are pretty serious about cross country! As far as the practice on your own, recovery with the team goes: if they really only joke and play around and it is never much of a serious running training session, then I guess the only thing you can do is devise your own running training program. You need to make sure you do not run yourself completely in the ground with so much running. Regarding your running program: I think it is very, very intense. A balanced approach to running training is the hard/easy approach. After each day of increased intensity or increased mileage you have an easy day on which you run easily or you even rest. The hard-hard-hard-hard-hard-hard-rest training program that you set up is likely to either get you injured or get you worn out after a few weeks. When this happens, your legs go stale and you will not be able to run your workouts at the proper speed anymore and your race performances during the season are likely to deteriorate. Check out my running training section, especially the article about base running. Not that expensive and worth its money tenfold is a great running training book like Daniels' Running Formula. There are running programs in there which are very much focused on the university / high school cross country running schedules with regular races. He also explains a lot about why you do certain workouts, how to increase your mileage, when to increase the speed on your workouts etc. Best of luck with the cross country running. Hope you will get some great results this year.